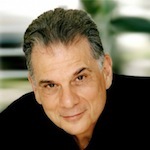 Earl Katz, Founder and President Emeritus of Public Interest Pictures, is an activist and Emmy Award ® nominated documentary film executive producer. Katz is Executive Producer of Unprecedented, Unconstitutional, Hacking Democracy, Heist, Last Hours, and others. He is presently working on an environmental film series and a feature environmental documentary. Earl was the U.S. senior staff member of the team that organized and produced “The Menton Statement” that linked the environment, poverty, and war. The statement was signed by over 5,000 international scientists and became the cover story and first issue of the UNESCO Courier dedicated to the environment. He served as Executive Director of Campaign to Defend America’s Environment and Entertainment Coordinator of International Earth Day, 2000. 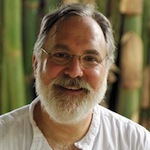 Steven is a longtime expert in biodynamic agriculture. 20 years ago he co-founded the Asociacion Nacional de Agricultores Organicas (National Organic Agriculture Association)—a Costa Rican sustainable agriculture organization and national certification agency—and currently sits on the Board of Directors. He is also co-owner and acting President of Finca Luna Nueva—a major research farm and an eco resort located in the central mountain area near Arenal—which he has steered since its purchase by New Chapter. He previously owned and supervised an organic farm in the northwestern province of Guanacaste. 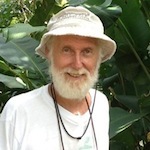 He works tirelessly to promote biodynamics as a viable agricultural system for tropical areas. Additionally, Steven is presently helping to administer field tests in Costa Rica on soil and carbon sequestration. 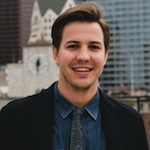 Field Garthwaite is the Co-Founder and CEO of IRIS.TV, the leading personalization and video programming platform. Since inventing the core technology behind IRIS.TV in 2010, Field has led the company to provide broadcasters, publishers, and brands with software that enables them to personalize the streaming video experience based on users’ preferences and behavior across all platforms and devices. His background inside media companies and tech providers to provide unique insight into the challenges facing the industry and how to better manage and monetize digital video. IRIS.TV’s product suite is used by hundreds of publishers and broadcasters globally, including Fox, Time Inc., CBS, Telepictures, Gannett, Hearst, The Hollywood Reporter and Billboard. Brad Leibov is a serial innovator and entrepreneur focused on breakthrough philanthropic and market-based strategies that offer solutions to the world’s most pressing problems. He has been involved with over two-dozen startups and initiatives as a founder, co-founder, investor, board member, or advisor. As President of Liberty Prairie Foundation, Brad guides the vision and strategic direction of a leading environmental philanthropy with pioneering programs in conservation, sustainable agriculture, and environmental policy. As Director of Dragonfly Trust, his approach to generating social and environmental impact led to his founding of Dragonfly Trust to support a portfolio of partnerships and initiatives to accelerate climate action through soil carbon drawdown in the Upper Midwest. He also serves as Vice-Chair of the Sustainable Agriculture and Food Systems Funders collaborative, on the Steering Committee of the Fresh Taste funders initiative, where he previously served as Co-Chair from 2012 to 2017, and on the Boards of the Liberty Prairie Foundation and The Carbon Underground. 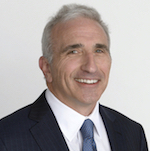 Howard Fischer founded Basso Capital in 1994 in partnership with a subsidiary of AIG, and is the Chief Executive Officer. 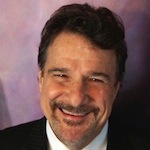 He is Co-Founder and Chief Evangelist of Gratitude Railroad, a private equity and venture capital firm specializing in seed/startup, middle market, incubation, growth capital, and buyout investments in food and agriculture, health and wellness, resource efficiency, environmental and social problems. He previously was the head trader and co-manager of the institutional convertible trading desk at Smith Barney and a convertible trader at Drexel Burnham Lambert and Cohen Feit & Company. Before this he worked as a Certified Public Accountant in both public and private practice. 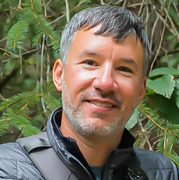 Howard serves as CFO of the Board of Directors of the International Mountain Bicycling Association (IMBA) and The Carbon Underground. In addition, he was a fellow at Harvard’s Advanced Leadership Initiative. Roberta Baskin has spent more than 30 years as an awarding-winning investigative reporter with a mission to expose corporate misconduct. Five years ago she shifted her focus to the opposite mission by creating the AIM2Flourish platform, exposing untold stories about exemplary corporate conduct across the globe. Last year Real Leaders Magazine honored her among its “100 Visionary Leaders.” Ms. Baskin’s storied career has earned her more than 75 journalism awards, including three duPont Columbia Awards, two Peabody Awards, and multiple Emmys. As a result of her investigations, government and corporate operations were improved or changed on dozens of health and safety products and practices. Career highlights include serving as Executive Director of the Center for Public Integrity, Senior Washington Correspondent for “NOW with Bill Moyers,” Senior Investigative Producer for ABC News “20/20,” and Chief Investigative Correspondent for the CBS News magazine “48 Hours.” She also taught a graduate school course on investigative reporting at Georgetown University. Ms. Baskin received a Nieman Fellowship at Harvard University and served on the Foundation’s Executive Committee. Concurrently, she was named an Ethics Fellow at the Poynter Institute. She’s actively served on many boards of directors, including the Fund for Investigative Journalism, Investigative Reporters and Editors, and the Journalism and Women Symposium. Currently Ms. Baskin serves on the Boards of Trustees for the FoolProof Foundation, Images & Voices of Hope, and the Earth’s Call Foundation.